I'm surprised it has taken me one hundred posts to get this recipe on my blog. It is one of my go-to recipes when I'm in a 'I can't think of what to bake' kind of mood. 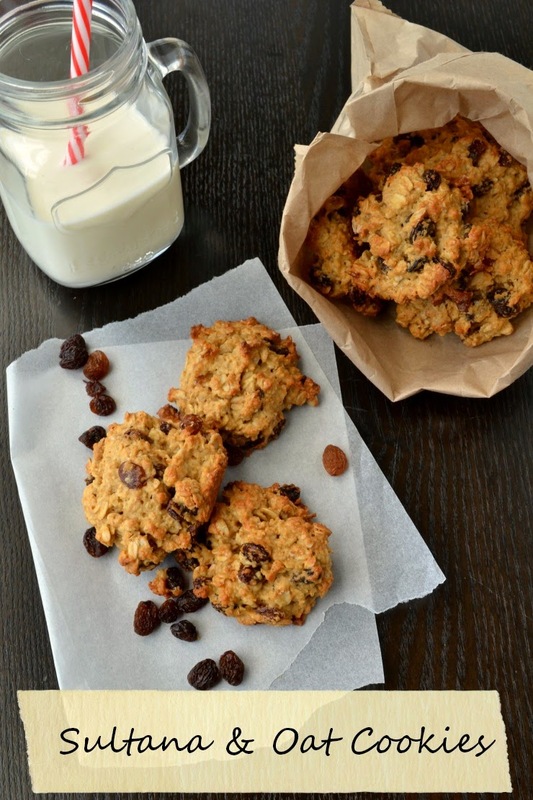 It's no secret I love to use oats, and while it is usually my preference to team them with dark chocolate, such as in my choc-oat slice or my healthy chocolate chip cookies, there are times I feel more like the sweetness of sultana cookies. These are good for lunch boxes and make a great grab-and-go snack. 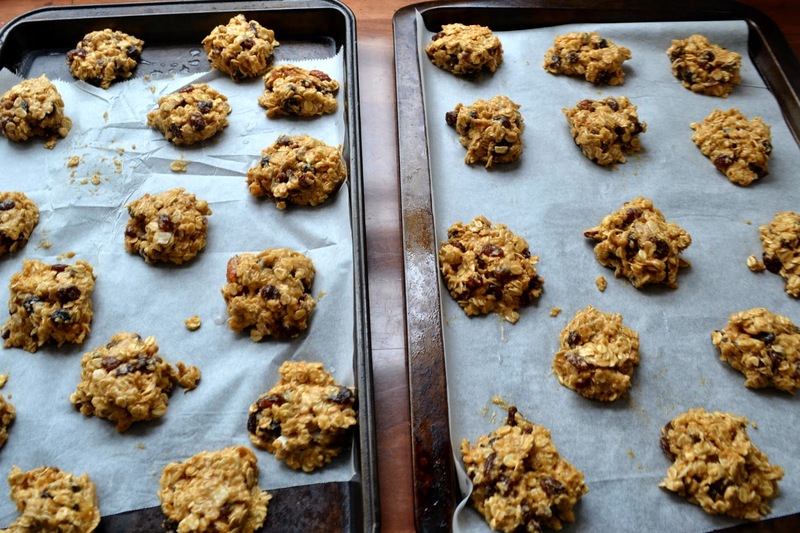 If you don't have any muesli, use an extra 1/3 cup of oats, 1/3 cup of mixed nuts and seeds and 1/3 cup of dried fruit. 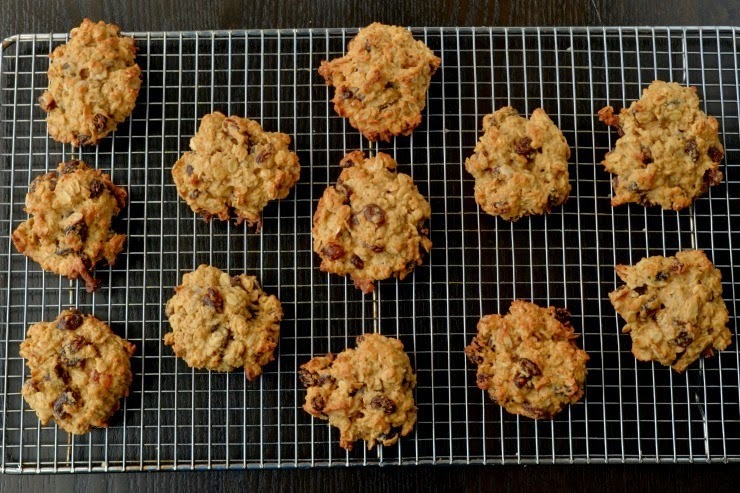 I used a store bought apricot, almond and coconut muesli for this batch of cookies. 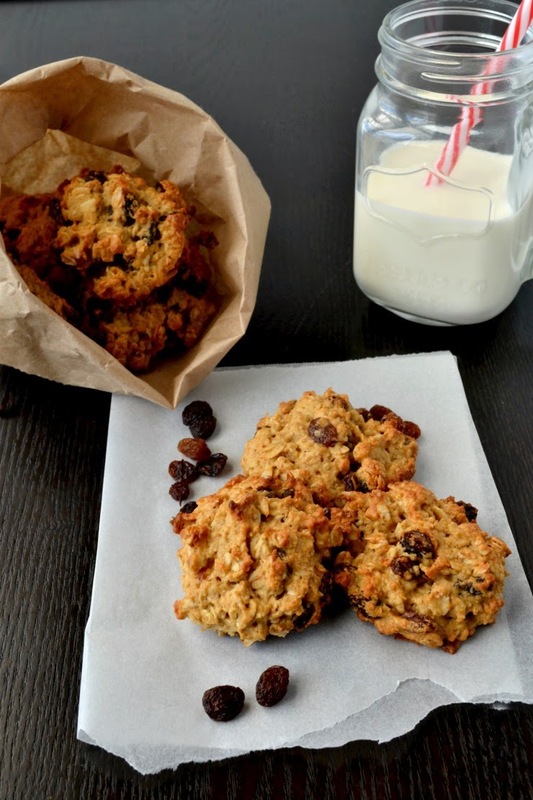 You could substitute half of the sultanas for dried cranberries or dried apricots, but do try to use some sultanas, as I think their plump sweetness is part of what makes these cookies great. You can use 125 grams of butter instead of the oil and applesauce or use half melted butter and half apple sauce. I usually can't be bothered melting butter hence the use of oil. You can substitute rice malt syrup or maple syrup for the honey. Combine flour, muesli, oats, sultanas and sugar in a large bowl. Combine oil, apple sauce, egg and honey in a small jug. Use an ice-cream scoop to drop mixture onto prepared tray(s). Cool on trays before storing in an airtight container. What is your favourite 'go-to' baking recipe? Linking up with Essentially Jess for I Blog On Tuesdays and Recipe of the Week and Fabulous Foodie Fridays. If you do, let me know if they compare favourably to the Coles ones! 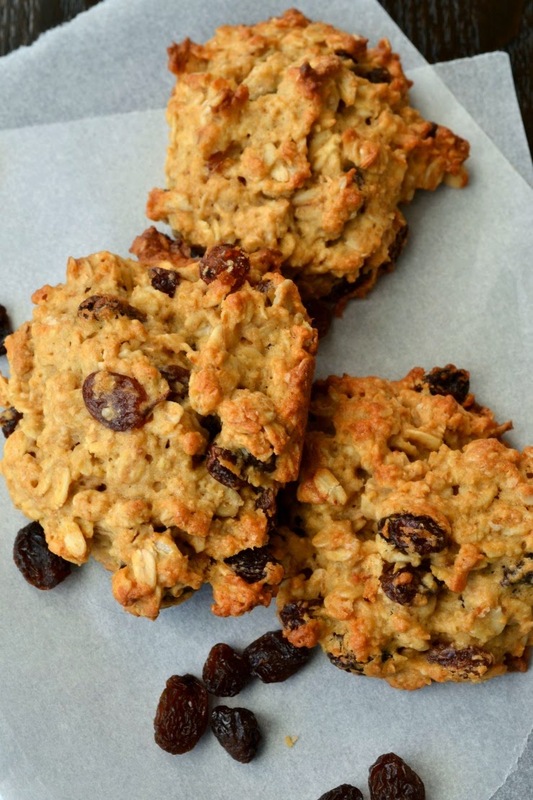 Wow sultana and oat cookies definitely bring back childhood memories... they would always be frequent staples in my school lunch box. Thanks for reminding me how delicious they are, definitely need to make your recipe soon! Sometimes the oldest and easiest recipes are the best ones! These look great will definitely be making some for the lunch boxes.